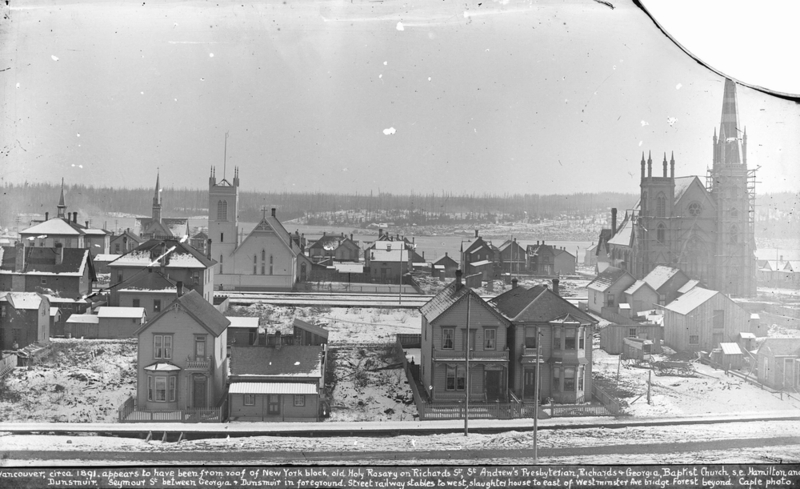 Major Matthews, the City Archivist, recalled that it “used to have two towers; one blew off, and they never replaced it”. 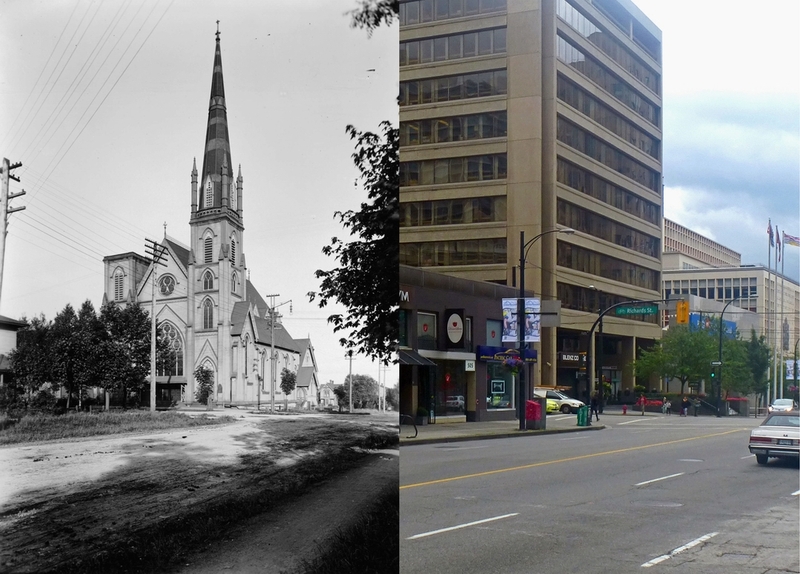 We think he was mistaken: there’s a photograph of the church being completed from around 1890 – and there’s no sign of the second tower being constructed (on the right of the image. There were however four corner cornices that didn’t last very long on the second tower. The church (just about) lasted until 1934 (so another image in the archives with the spire removed must be earlier than 1937, as it is labeled). The congregation had mostly moved west to the new St Andrew’s – St Andrew’s Wesley, which was the new United Church built for the recently joined non-conformist denominations and completed in 1933. This corner saw a service station constructed after the church was demolished – the George and Richards Service Station, owned in 1945 by Betts and Carroll. In 1974 the building that’s there today was completed. Designed by Zoltan Kiss, it was known as the BC Turf Building and developed by Jack Diamond.